Originally posted July 11, 2012, and updated in 2016 after my pilgrimage to Colorado, this is the single most viewed post on The Hideaway, reposted here on the occasion of its Sixth Anniversary! Like every other pack-rat hoarder collector, HERC loves reading about stories of "found" collections and "buried" treasure (like this one), appreciating the resources and bizarre personality quirks that are required to assemble and maintain a collection of anything. A call comes into Mile High Comics, a Boulder, Colorado, business established by the owner as a 17-year-old high school student in 1969, from a friend at a bookstore. He says an area realtor contacted him looking to unload what he described as a “large” batch of old comics. The comics store’s owner, Chuck Rozanski, had dropped out of college in 1974 to devote all of his time and energy to the business and now had three stores. He wasn’t in at the time but he called the realtor back as soon as he got the message. The realtor explained that he was trying to sell a house for the heirs of an estate and there was a closet full of old comics amongst other “junk” they were trying to get rid of as soon as possible. Chuck pressed the guy for details and was told that as far as he knew, the comics were cowboy and horror comics from the 1950s. Chuck specifically asked if there were any superhero books and the realtor reckoned there were a few but he wasn’t positive. Chuck set up a meeting at the house for the following Saturday. Almost a full week passed and Chuck was filled with anticipation as to what he might find and as he entered the basement from atop a short staircase, he could see stacks of comics covering the floor. They were stacked neatly and each pile was made up of approximately 75-100 books. Chuck saw westerns and horror but also a few older superhero books from DC. 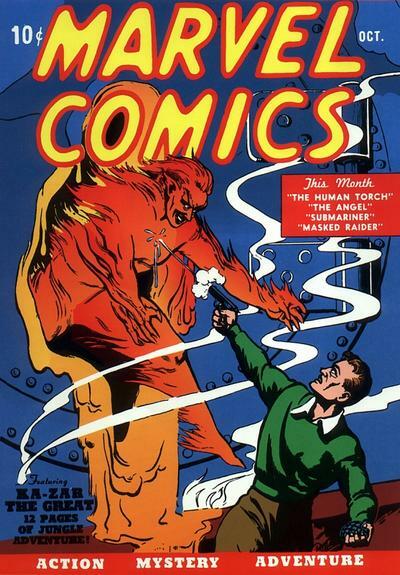 He said that by the time he reached the bottom of the stairs he “was very, very excited.” He looked through the stacks and his excitement grew as there were not only a great number of comics but they were in “wonderful” condition with the older titles from the 1940s in better condition than the newer ones from the 1950s. Chuck counted about sixty stacks on the floor and asked what the sellers wanted for them. They made it clear that the price wasn’t the issue – they were mainly concerned that he would be able to take ALL of them. He offered to make payments or sell the comics on consignment at his stores but the sellers rejected both offers. They wanted immediate payment and wanted the books gone as soon as humanly possible. In his head, Rozanski calculated how many trips he’d have to make out of the basement to take all the books and made the sellers an offer which they immediately accepted with two stipulations: 1) payment had to be in cash and 2) he also had to clean out the “closet”. They then took him over to a door, opened it and he was amazed to see that it was completely filled with floor to ceiling stacks of even more old comics, so many that there were comics stuffed in the nooks and crannies of the floor above the basement. Chuck Rozanski pulled himself together, vowed to himself that he would make the world of comic collecting a better place with his newly purchased collection and went outside to move his van around the back by the basement door. Before the deal was concluded, he would meet with the sellers at least a dozen more times and he would learn a little bit more about the man who had lived in the house whose stuff they were hurriedly selling and throwing away. His name was Edgar Church. Working alone that first day, Chick loaded almost 10,000 comics into his van in a little over two hours but he had barely carried out, by his estimation, half of the books in the closet. The heirs would not let him empty the van and come back later in the day so he made arrangements to come back to the house as soon as he possibly could but the sellers were busy for the rest of the week and could not meet him until the following Saturday. Rozanski spent another two hours hauling the books up to his second-floor apartment, stacking them carefully in three-foot piles, filling a spare bedroom wall to wall and bleeding over into the living room. He thought about how he had spent every last penny he had, money that was earmarked for the next week’s new comic purchases, buying these old books. He came up with a brainstorm and invited his best customer to his apartment the following day and made him an offer - the man spent enough money for Chuck to be able to replenish the earmarked money he had spent and pay the remainder of what he owed to Edgar Church’s heirs. Saturday came and he met the sellers at Church’s house. 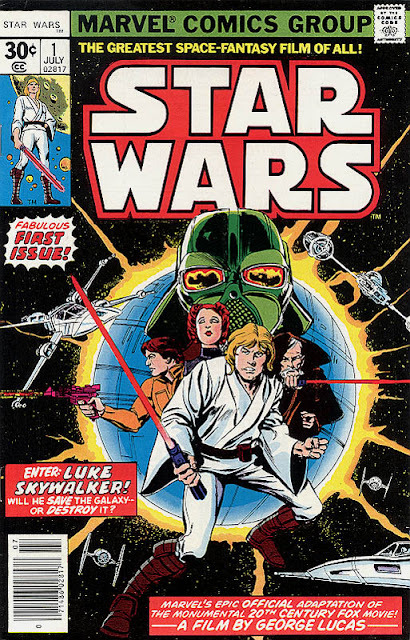 As he started hauling the rest of the comics out of the walk-in closet, he grew more and more excited as he realized the books were in roughly reverse chronological order and the oldest books were at the very back and he had already spotted many key issues including many issue #1s. Chuck took a suitcase full of assorted comics he thought would fetch high dollar to a comic show in Houston where one man bought most of them, giving him enough funds to complete his transaction with the heirs of Edgar Church. As he loaded his third van load, the heirs asked Chuck if he had any interest in old magazines. He assured them that he did and they led him to a room at the end of the basement which resembled a pantry with empty shelves save for one stack of pulp magazines, collections of horror, sci-fi and other lurid stories that were popular up until the 1950s. They were called pulp because of the cheap paper they were printed on. Chuck told them he had friends who specialized in those types of magazines and told the sellers he would bring the buyers back with him the following week. When they returned, they discovered that many of the books in the middle of the pile had been ruined by water but they managed to rescue almost 200 near mint condition pulps. After taking a complete inventory of their finds, Rozanski and his friends could only speculate what other magazines and comics had filled the rest of the shelves of the pantry like room and when and where they had been disposed of based on missing issues. Chuck and his friends settled up with the heirs and loaded the remainder of the boxes and magazines. Once they had finished, the heirs of Edgar Church asked Chuck if he was interested in the contents of Church’s office. It was at this time that Rozanski learned that Edgar Church was indeed still alive but was suffering from a debilitating illness and could no longer care for himself. His wife was in her mid-eighties at the time, had suffered a fall and could no longer care for him either so the family decided to put them both in a nursing home. Edgar Church passed on a little more than two months later after the events of this story. Further research revealed that Edgar Church was a commercial artist/graphic designer and had the unique ability to mimic fonts and other artists work. He worked for the local phone company for almost 30 years designing ads for commercial directories which later became known as Yellow Pages. To supplement the income from his day job and allow him to pursue other interests, Edgar worked free-lance jobs at night. His comic collection was his passion and he had an arrangement with his local newsstand starting with Action Comics #1, the debut of Superman, to hold one copy of every single comic printed, regardless of style or genre, for him. Based on the issues Chuck had hauled out of the house, this agreement lasted from 1938-1953. Mr. Church then apparently bought comics used for the next five years before abruptly stopping. 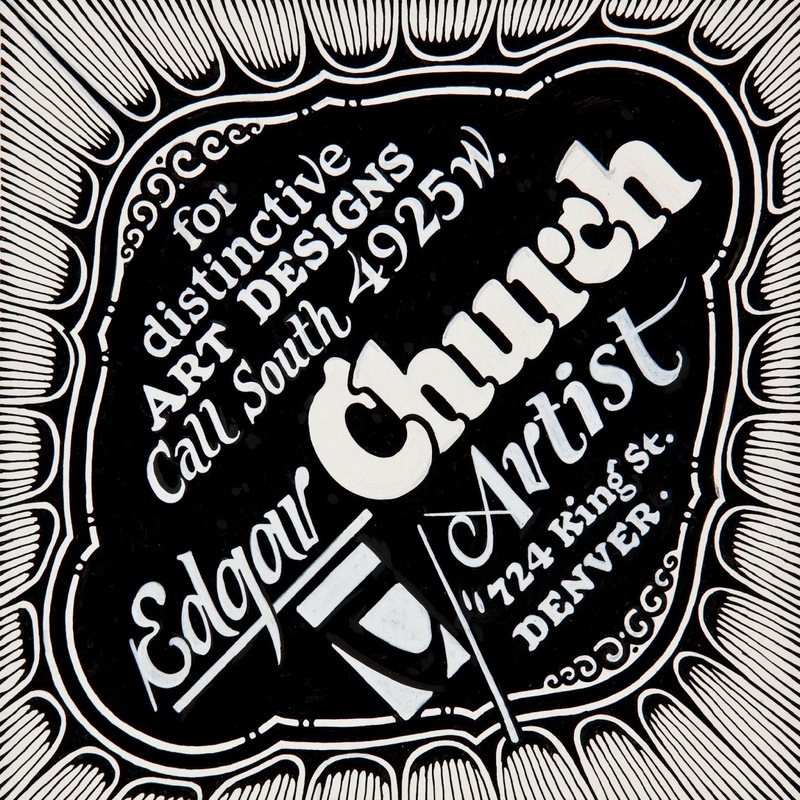 Chuck fielded offers from other dealers to purchase the entire Edgar Church Comic collection but he turned them down in his effort to make good on his vow to do “something positive within the comics community”. He even learned that he wasn’t the first comic dealer contacted by the realtor – the first had declined to make a house call to view the collection! Chuck did trade about 1,800 books from the collection to a fellow dealer and close friend retiring from the business, getting the dealer’s store and 100,000 comics in trade. Chuck says he never regretted that trade as he used the huge influx of back issues to launch his mail-order business but he had to sell even more key issues from the Church Collection, including Batman #1, to finance his purchase of the center two pages of every Marvel comic book for a period of nine weeks to advertise his mail-order business. 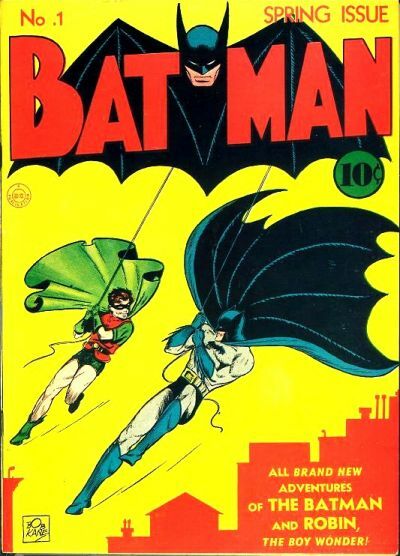 He paid $21,000 for the ad space and grossed more than $100,000 during that time so he considered it an unqualified success even if that issue of Batman #1 would be worth almost a million dollars today - one sold for $850,000 at auction in May 2012. Word quickly spread of both the breadth of titles and their unprecedented quality condition amongst the relatively small comic community. Chuck managed to sell more books from the Church Collection to further expand both his retail and mail-order business. In the Spring of 1977, he created a catalog of the 14,000 remaining books but had to sell some of them just to finance its publication. As the years went by, more and more of the Church Collection entered the comic community until, in 1986, Rozanski was left with just a few hundred titles in his personal collection. Chuck Rozanski is nearing 60 years old and has recently experienced two life-threatening episodes of brain swelling. His thoughts turn to his own mortality and the legacy of his life’s work in the comic collecting business. 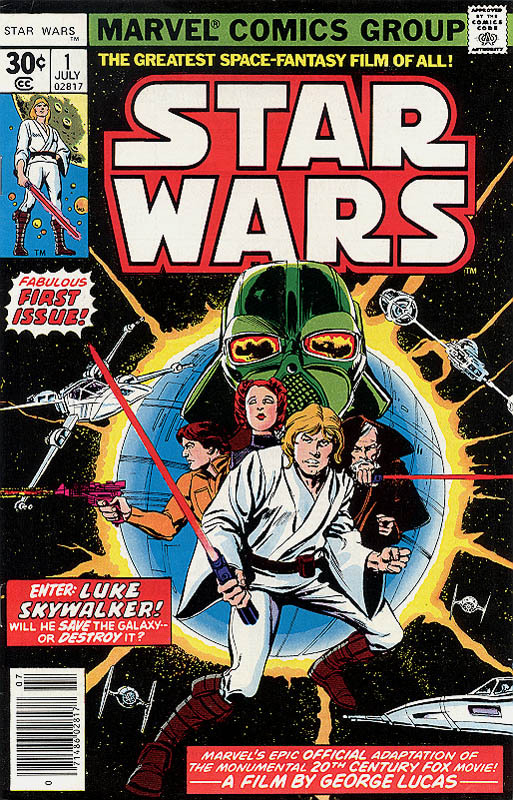 He makes the hard decision to sell the remainder of the legendary Edgar Church/Mile High Collection (as it has become known), a little more than 40 issues he kept not because of their value but because he just liked them. Chuck estimates that the entire 18,000+ issues of the original collection would be worth over $50 million dollars in today’s market. His business has grown to four retail stores and features more than 8 million back issues of collectible comics and he desperately needs a new warehouse to store them. Rozanski’s appearance at the 2010 Comic-Con show in San Diego sparks a renewed interest in his fortunate find but not all the books sell and he offers the remainder at auction in 2011 along with original Edgar Church artwork. 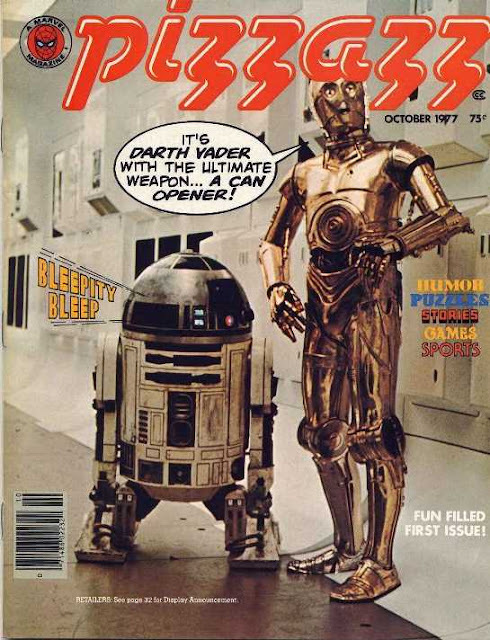 Mr. Rozanski, at the urging of his daughter, appeared in the 2011 documentary Comic-Con Episode IV: A Fan's Hope. David Johnson has a film project up on Kickstarter based around Chuck's Mile High find. Their deadline for funding the project, which is only the first third of the planned film is only 30 days away and they are woefully underfunded. Watch the video below and donate if you can. Read a brief interview with Johnson HERE. Even more stories of "pedigreed" comic collections can be read HERE. I recently took a road trip and spent a week in beautiful Boulder, Colorado, with my only specific agenda to visit the Mile High Comics Warehouse in Denver, about an hour south of Boulder. After driving past the massive though non-descript warehouse once in Denver's old industrial area, I drove back around and spotted a tiny little sign that read Mile-High Comics with an arrow pointing to the side of the building where a door was propped open. I pulled into the fenced but unpaved parking lot in the shadows of Denver's colossal multi-level freeway system. I walked in the door and down a short hallway before opening another door and entering the warehouse proper. 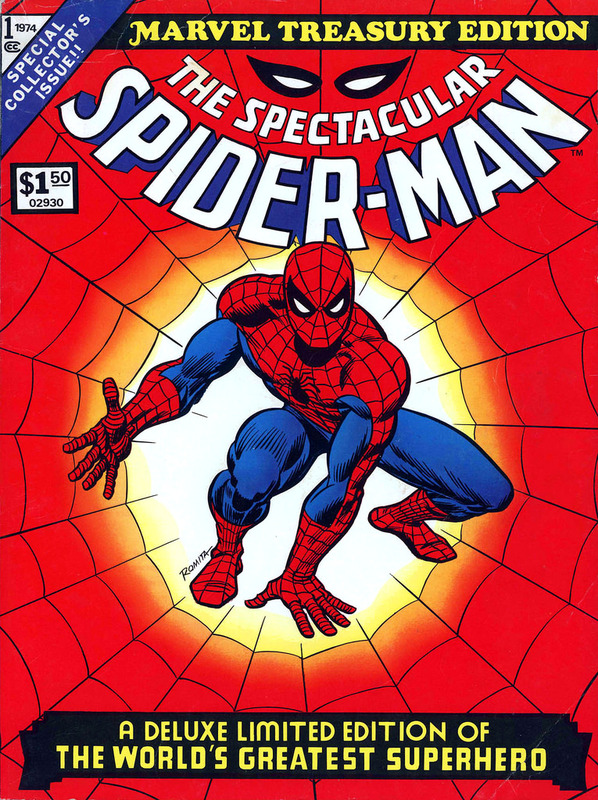 There were glass display cases holding some high-dollar books and unique 10-20' high displays rising up above them, striped with issues of newer comics so that each stripe was all the same issue. More glass cases held pricey vintage collectibles such as toys and movie memorabilia. There was at least one cat roaming the floor. A lady sat in a square check out/information booth just inside the door. I walked through aisles and aisles of bookstore-type displays of graphic novels including comic anthologies and manga. Then I lingered in the toys and licensed merchandise section. Then a giant display of kiddy comics based on toys and cartoons. The retail section took up half of the floor space in the massive building while the backstock and mail order inventory occupied the other half. Out of the corner of my eye, I could see workers darting in and out of the shelves, removing boxes and pulling comics. Another section roped off featured half a dozen people typing away on computers, no doubt listing, taking and fulfilling internet orders from around the world. Then I found the huge Star Wars section which featured everything Star Wars related. Then a smaller Star Trek section. Then row after row of boxed comics like the Big Bang boys are always looking at in Stuart's Comic Center. If you have seen any of the scenes I am referring to, multiply the number of boxes and comics by 30 or maybe even 50 - that's how many there were and I was the ONLY person looking through them at the time. Much like I do in a record store, I was zig-zagging my way through, jumping from A (for Avengers) to N (for Nova) to W (for What If?) in the Marvel section and avoiding the DC section completely. I've always been a Marvel comics man though I watch the DC TV shows and movies. Next up, I came across a special section of the older Bronze and Silver age comics in special Lucite-covered boxes. Then I found the Pizzazz magazines and the Marvel Super Special magazines with Kiss, the Beatles, and various movie adaptations. 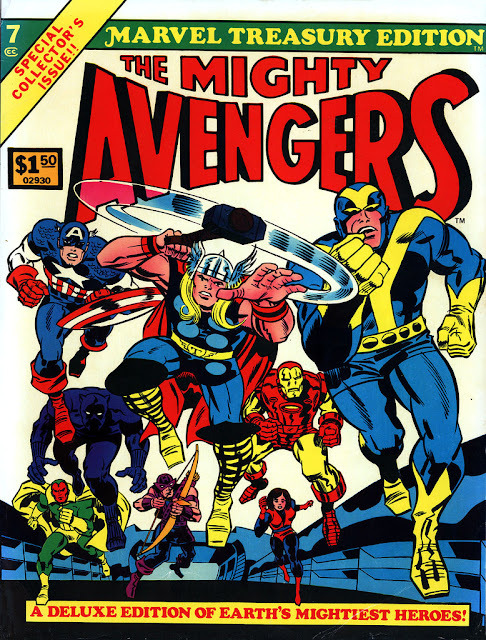 Then, for me at least, the motherlode: The Marvel Treasury Editions. I have six of these big books and really had no idea there were so many more of them and all were ridiculously priced beyond my casual-collector rather spend money on music budget. So, you guessed it, I left empty-handed but with a huge smile on my face. As I came out the side door, I could hear voices and saw two men tossing wood into a dumpster. As they turned to face me, I recognized one of them as Chuck himself. I took two steps toward him and his phone rang. He answered it and did an about face, walked away from me and hopped in his Jeep, eventually driving away. I walked to The Blueberry, texted a few people who were waiting for my report from Mile High and then drove back to my hotel room in Boulder where I realized I was so caught up in the fulfillment of a childhood dream I forgot to take any pictures. This is my favorite story you've ever told me! I scoured the web for days after first hearing it...and I gotta say I love your words and story the best!